Alexander Mudgett, 19, died in the blaze early Saturday on Ben Gilpatrick Road, and four others escaped. Investigators may never discover what caused a fatal fire in Hiram that left a 19-year-old man dead Saturday. Steve McCausland, spokesman for the State Fire Marshal’s Office, said Sunday the fire was so intense there is very little left for investigators to work with as they try to find the cause of the blaze that killed Alexander Mudgett of Hiram. Four others – two men and two women all in their 20s – managed to escape the two-story home at 6 Ben Gilpatrick Road by crawling out of second-floor bedroom windows onto the roof and jumping to the ground. One of them received a minor leg injury. The others were unhurt. 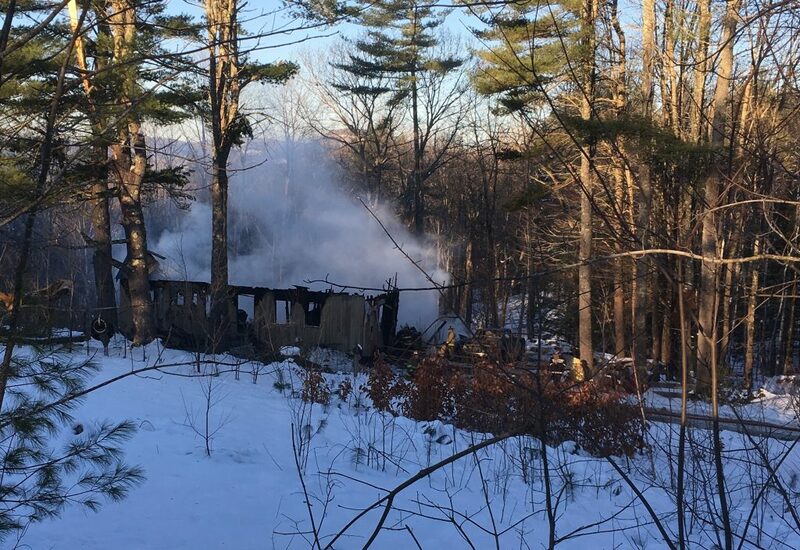 Fire Chief James Siracuse said the building was a modified modular home that sat atop a foundation and had been expanded with a superstructure at one point. The remains of a fatal fire Saturday in Hiram smolder the next day. The fire broke out about 5 a.m. Saturday and was reported by a neighbor. About 30 firefighters from Hiram and surrounding departments responded. Another neighbor, Sue Chapman Melanson, said she woke up to the sounds of fire engines and snapping flames. She raced over and started taking photographs. “It went up really fast,” Melanson said Sunday. Mudgett was found by firefighters on the first floor at the foot of the stairs, and investigators believe he was trying to escape the fire, McCausland said. There were no working fire alarms in the home. The cause of the blaze is not suspicious, McCausland said. The home was owned by Tyler Harmon, who lived there with his girlfriend, Darci Monroe, and Mudgett, according to Harmon’s father, Ken Harmon of Hiram. Melanson said Harmon had owned the house less than a year. Hiram has two fire departments, one in the south of the town and one in the north. Mountains and a river separate the two, which is why the Oxford County town has two departments. 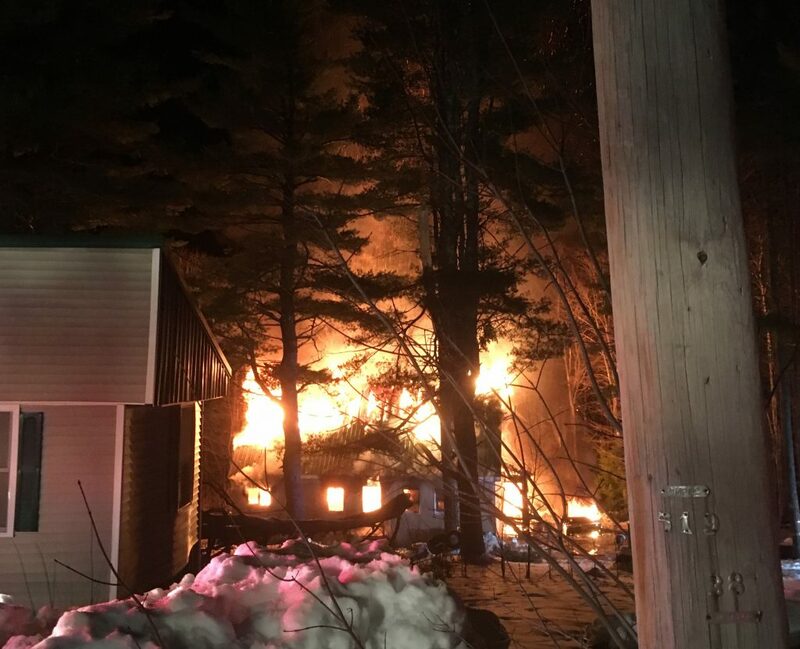 Siracuse, chief of the southern department, said it takes the departments about 20 to 25 minutes to respond to most calls in the rural town because the volunteer firefighters must drive to the station to pick up their equipment before heading back out. McCausland said investigators have interviewed all four of the surviving occupants and will likely reinterview them in the next few days in the effort to determine what caused the fire. Mudgett was a 2017 graduate of Sacopee Valley High School, where he played basketball. He worked at Tice Automotive Services in Tamworth, New Hampshire, according to his Facebook page.